As a guy named Stephan Fogleman, I’ve done more than my share of Oktoberfests. Usually, I drive to Philly every year to attend Brauhaus Schmitz’ bacchanalia that closes down South Street. It would take something special to get me to give up a chance to hoist liters on the streets of the City of Brotherly Love. We all know that Oktoberfest begins in September, so much so that I told Crossbar co-founder Brian McComas back in March that if he wanted me for a customer, he’d better set his Oktoberfest watch to Munich time. He was offended that I even suggested he might start Oktoberfest celebrations that weren’t in sync with Munich’s. I liked that he took it seriously enough to get mad, because Oktoberfest, like the Germans, is serious stuff. Serious fun! Federal Hill’s Crossbar–and Munich–kicks off Oktoberfest on the third Saturday of September, unless the 1st of September is a Saturday, in which case it begins on the 4th Saturday, like next year. Got all that? Gut. So be at Crossbar this Saturday, September 16 and sway to the Edelweiss band, eat the comfort food and feel the gemütlichkeit, which is loosely translated to “slightly buzzed good times with friends.” Doors open at 10 a.m. and this writer will be tapping the first keg at noon in full lederhosen. And by tapping the first keg at noon on Saturday, it’ll mark the kick-off of Oktoberfest in Baltimore City and County. Most of the area’s festivals are scheduled to begin between Saturday, September 23, including the German-Americans Association’s event at the State Fairgrounds, and go all the way to October 23. Federal Hill’s own own Oktoberfest is slated for September 23-24 with 18 participating breweries. “We couldn’t be happier to be celebrating Oktoberfest because it means we are open,” joked McComas, a nod to the long and torturous process to get the beer hall green-lighted by city officials. “All kidding aside, the reception of Baltimore’s first German Biergarten has been phenomenal and we hope this celebration is just the first of many to come,” he added. Those who prefer the authentic kick-off date can also attend the Town of Bel Air’s festival, which begins at 1 p.m. on Saturday. Only one spot in Maryland gets the barrel rolling before Crossbar: the Old Stein Inn in Edgewater, where the first keg will be tapped at 6:00 p.m. on Friday night (midnight Saturday in Munich). Expect traditional brats, pretzels, roasted chicken, sauerbraten, smoked turkey legs and fresh hot fasnachts all day at Crossbar. But you’ve come for the beer list. And that’s just the Munich breweries. Also expect to find Warsteiner Oktoberfest, Pilsner and Dunkel and a Stiegl Radler. There will be a few Maryland seasonal crafts on sale too, but this day is all about the Germans. The Edelweiss Band performs at Crossbar at 4 p.m., after you’ve had a chance to lose your inhibitions before attempting a chicken dance. At 2 p.m., the first Crossbar Maß Liter Lift contest will pit the strong arms of Charm City against pounds of punishing glass and beer. I will wistfully miss Philly this year, but Crossbar has a chance to start a grand Baltimore tradition and I want to tell my enkelkinder that I was there when it all began. Be there when I say “O’zapft is!” and mean it. They might even let me do a little Ein Prosit with a smooth Zicke Zacke finish. Who knows? I know one thing: In the 21st century, a man considers himself lucky if he gets to wear a codpiece one day a year. This is that day. So the choice is yours, Baltimore. You can spend Saturday going “Halfway to St. Patrick’s Day!” or you can go all the way to Munich without leaving the loving confines of America’s Most Dangerous City. I look forward to seeing pictures and hearing about your experience at Baltimore’s first Oktoberfest! My friend is tapping the first keg at Baltimore’s first Oktoberfest this Saturday! 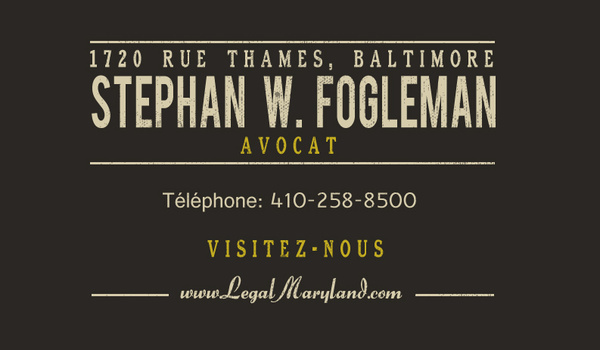 If you are in the area, make sure to stop by and say hello to Herr Fogleman.